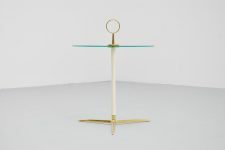 Very nice and dynamic side table designed by Cesare Lacca, Italy 1955. 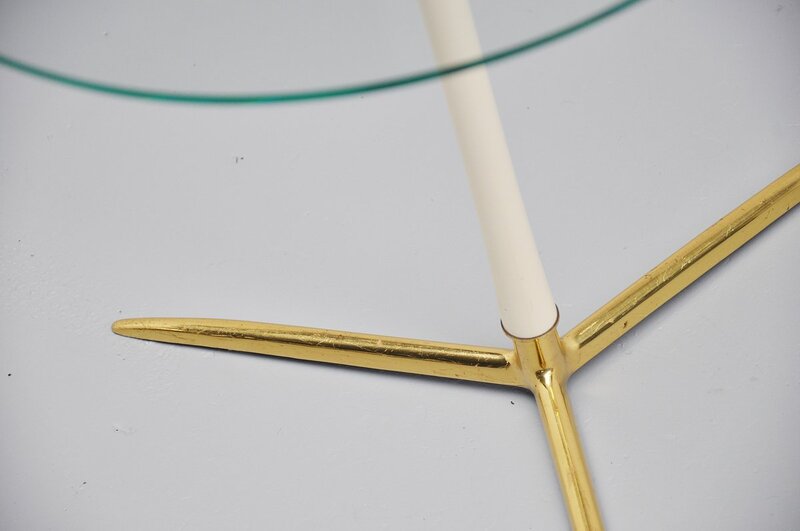 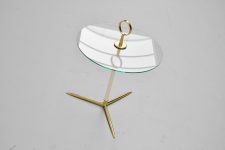 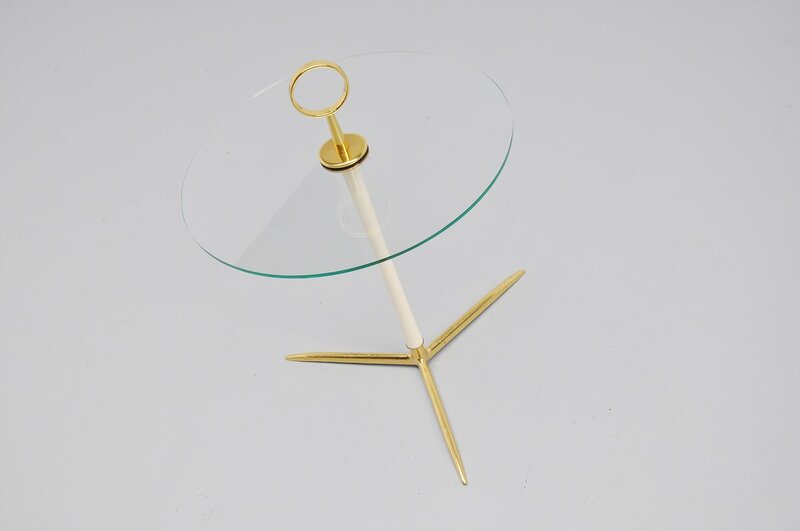 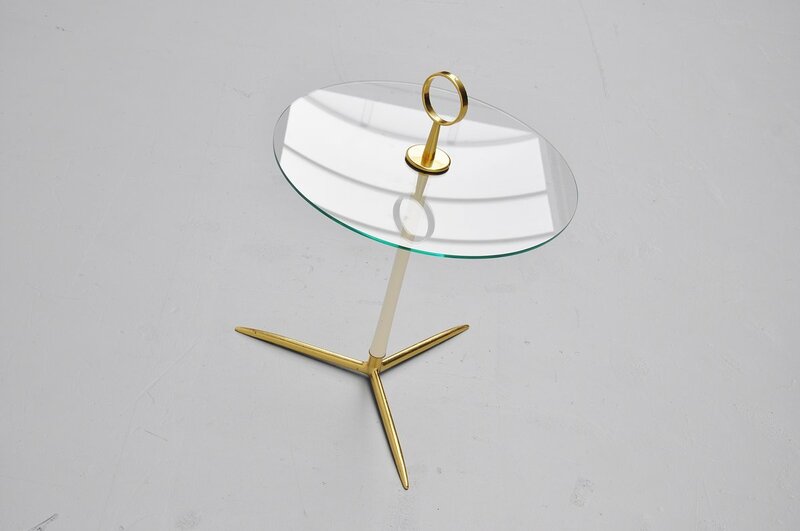 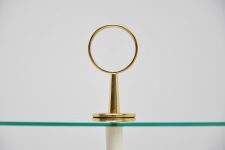 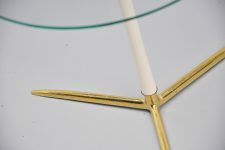 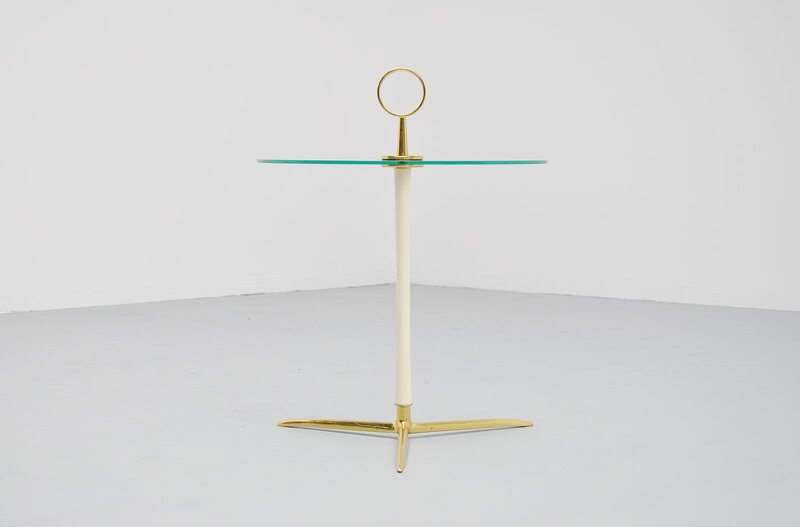 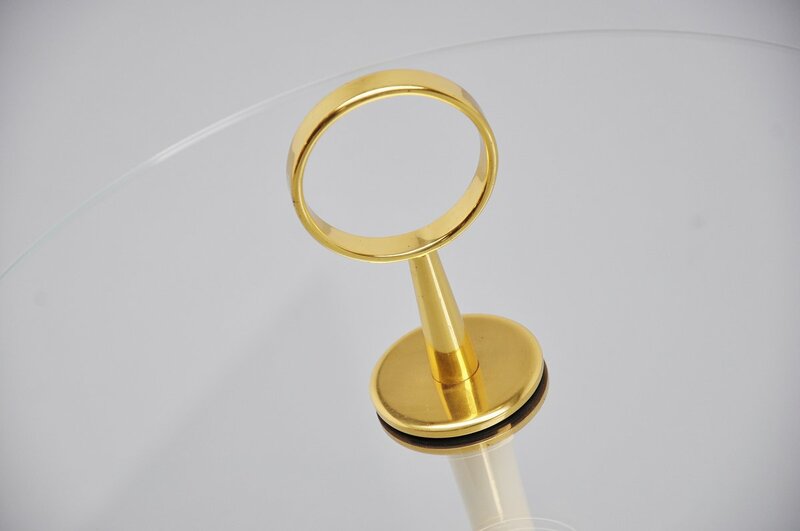 This highly refined table was made of solid brass and white lacquered details. 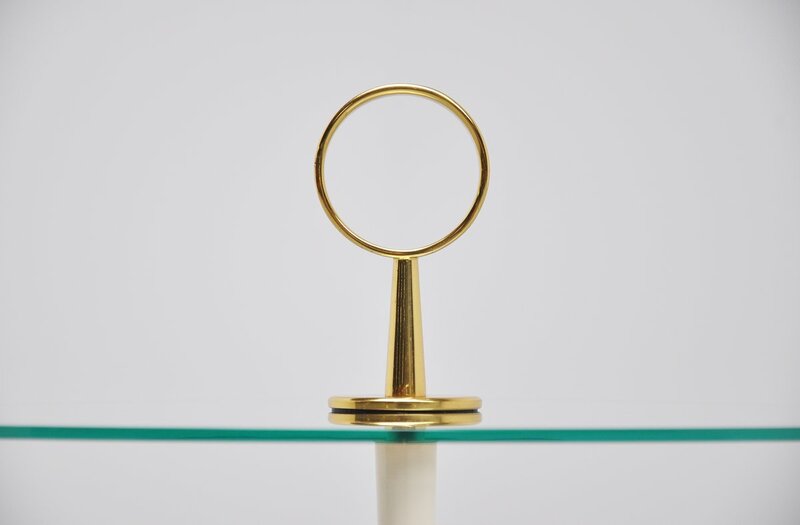 A very nice original hardend green glass round top. 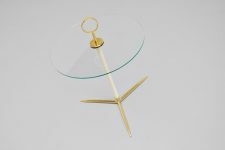 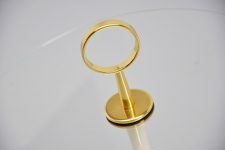 Super shaped table in good original condition, brass is still very clean.